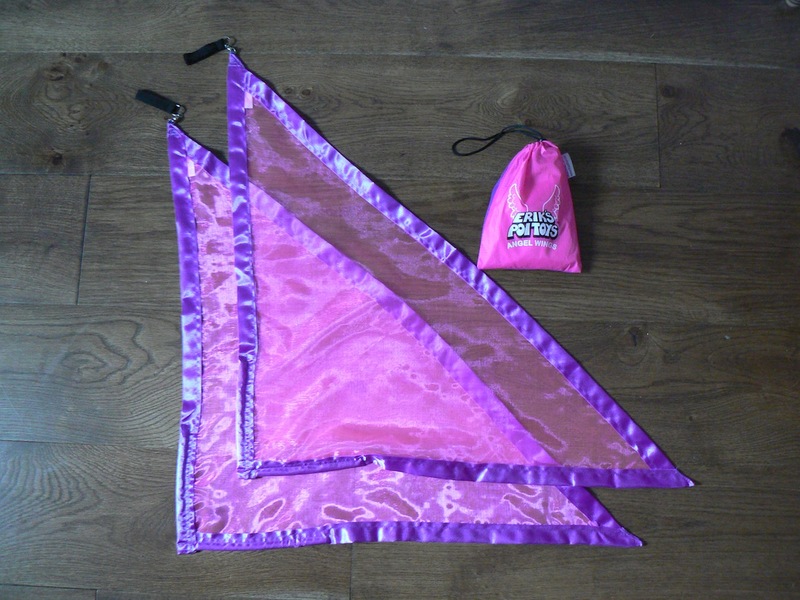 Gossamer Flag Poi are triangles of sheer organza trimmed with satin ribbon.Balanced and weighted along the leading edges these flag poi have a silky smooth flight - beautiful in daylight and stunning under Ultra Violet light. Recommended for the intermediate to advanced poi spinner. All our flag poi come with a colour coordinated carry bag.